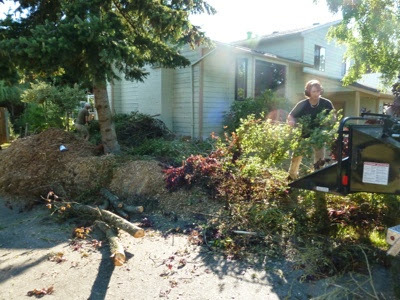 My Home and Garden: Thank you for dropping everything to help us Scott. Thank you for dropping everything to help us Scott. 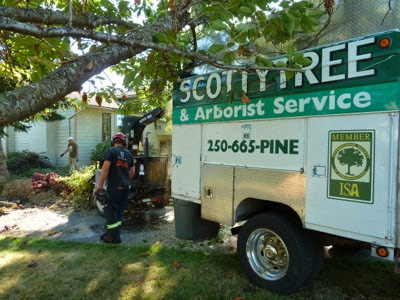 On the peninsula we have an arborist Scott. He owns Scotty Tree & Arborist Service and supplies me with wood chips for the garden. Allan and I got in way over our heads with some tree cutting and after two full days of working our asses off in the hot sun, called Scott to see if he could chip everything for us. 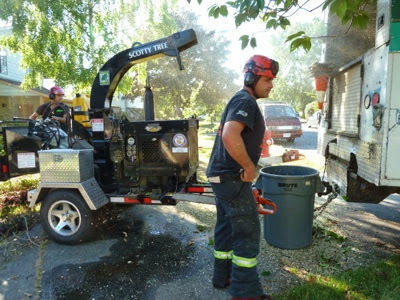 He and his crew dropped everything on a really hot day during the dinner hour and saved the day. I cannot thank them enough. Yet again. I highly recommend this very professional company when you need help with your trees. So I need to ask..does he have a Scots accent? I just feel he should. ;-) Great to have such friends and neighbours in your community Erin.